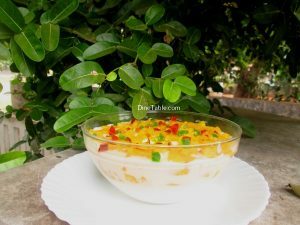 Milkmaid pineapple pudding is really easy to make and a party favorite. 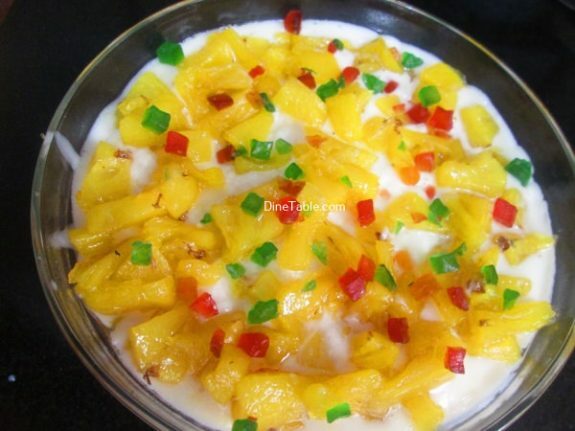 The main ingredient of this pudding are pineapple, china grass and milkmaid. 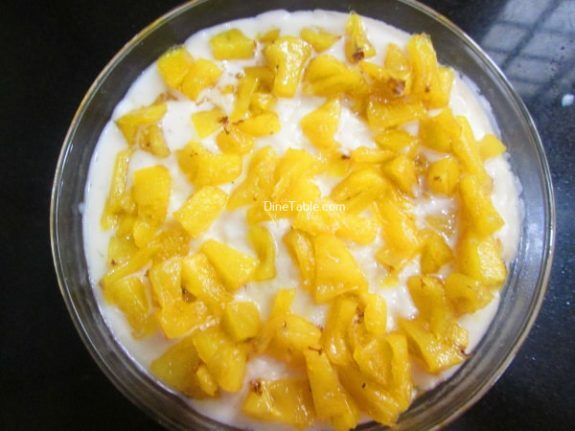 Pineapple is a commonly available fruit and healthy also. Pineapples are eaten fresh, juiced, cooked, and preserved and their leaves are even used for wallpaper and ceiling insulation. As an excellent source of the strong antioxidant – vitamin C, pineapples can help combat the formation of free radicals known to cause cancer. 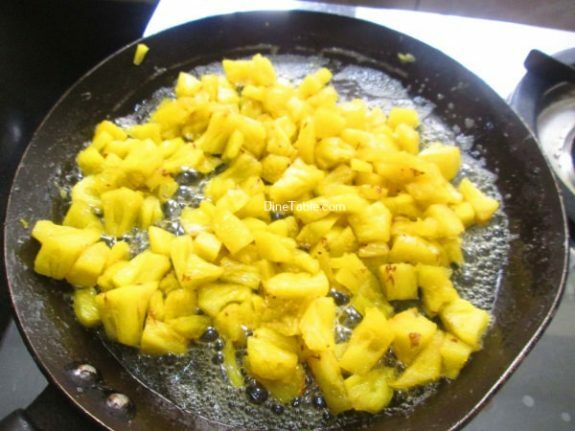 Although pineapples are not famous for having a strong calcium content, which most people immediately associate with bone health, it does have an impressive amount of manganese, which is another trace mineral that is essential in the strengthening of bones, as well as their growth and repair. 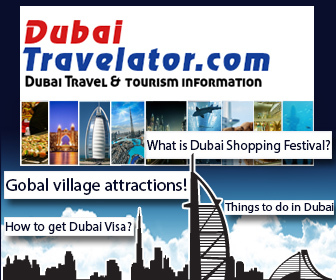 Pineapples are a valuable source of many minerals, and potassium is among them. This is one of the most important minerals in our body, and potassium deficiency can result in a wide array of health hazards. Vision is one of the most important senses for human beings, and pineapples have been directly connected to boosting eye health and preventing the age-related deficiencies that so often occur. 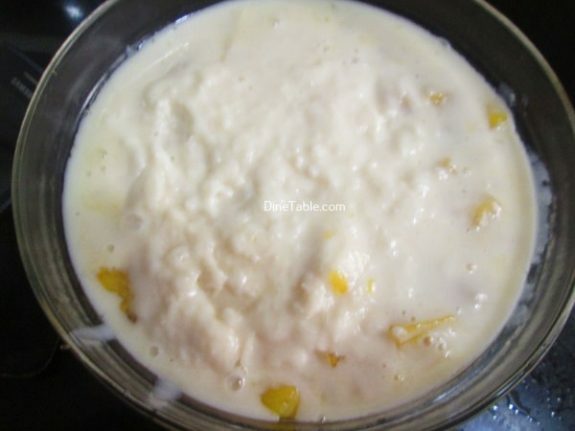 Try this yummy pudding at home. 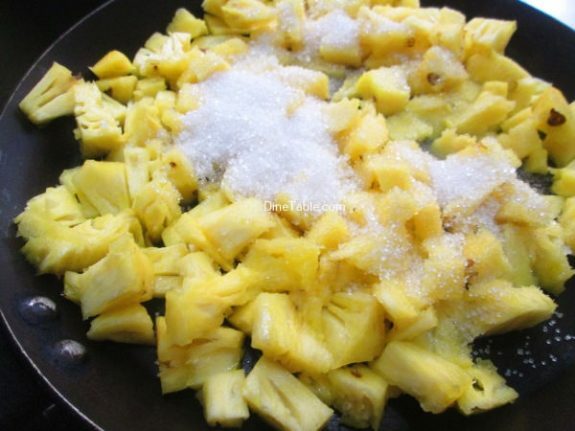 Clean and slice the pineapple into small pieces. 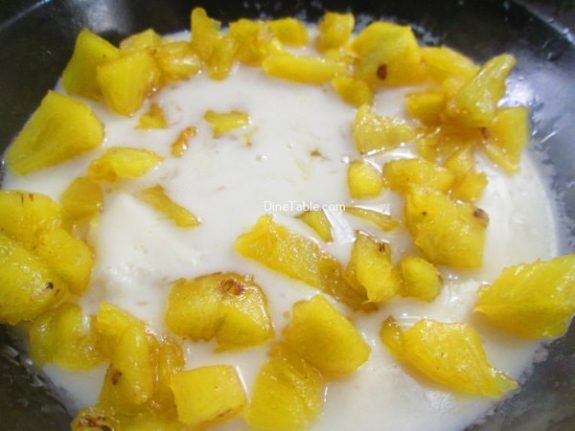 Heat a non stick pan add pineapple pieces in low flame adding 3 tbsp of sugar. Cook it until all the water is gone. Keep it aside and let it cool. 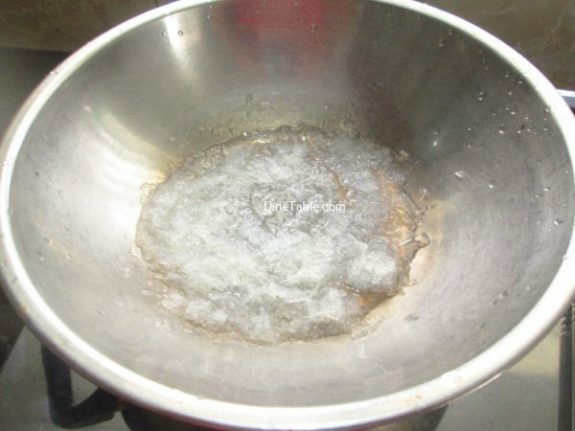 Take a thick bottomed pan and add 50 ml of water. Break the china grass into smaller pieces and add to the water. Let it boil till the china grass melt very well. Stirring continuously and switch off the flame. 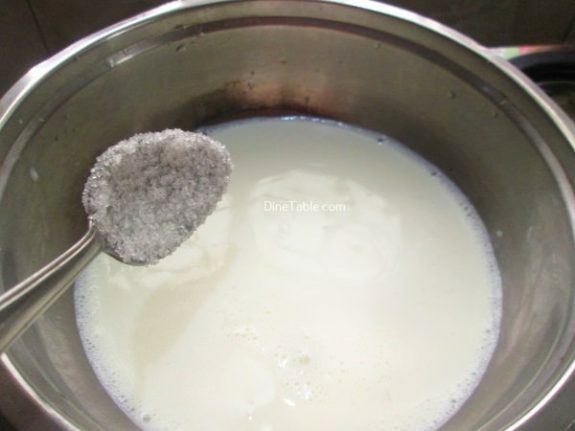 Heat milk in another pan. Add 5 tbsp of sugar and stir well. Lower the flame when it boils, slowly add milkmaid. 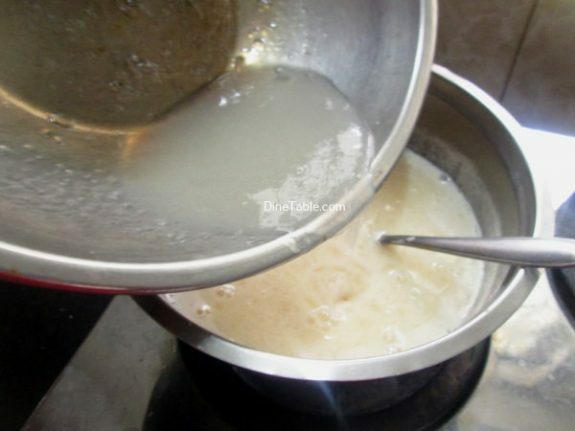 Keep on stirring continuously while adding milkmaid. Add the melted china grass and keep on stirring. Milk should be stirred while pouring the melted china grass. Switch off the flame. Take the pudding tray where you are going to set the pudding. 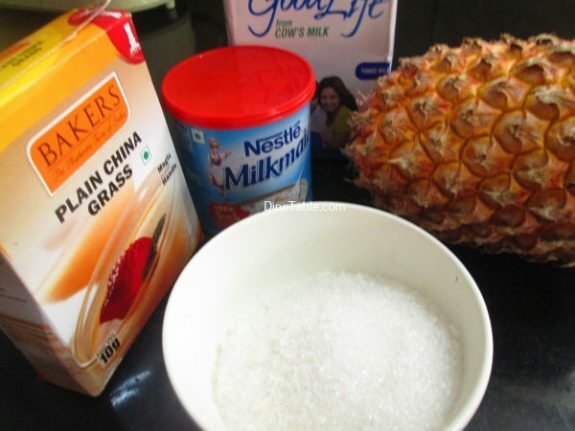 Add a layer of milk, milkmaid china grass mix. Now add a layer of pineapple slices. 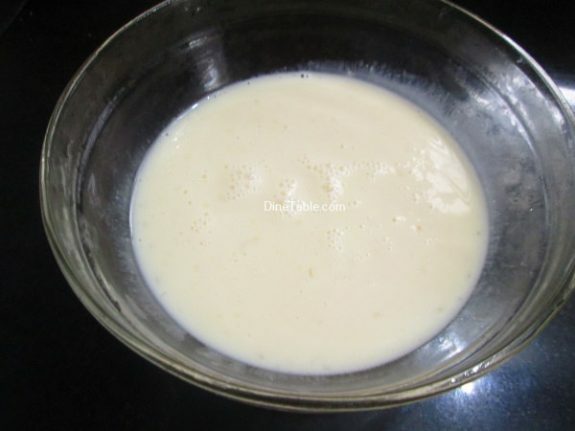 Add another layer of milk, milkmaid china grass mix. 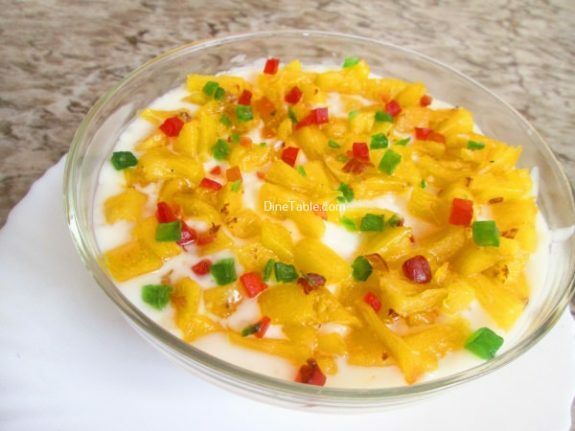 Keep on doing the same till we have used the milk, milkmaid china grass mix and the pineapple slices fully. 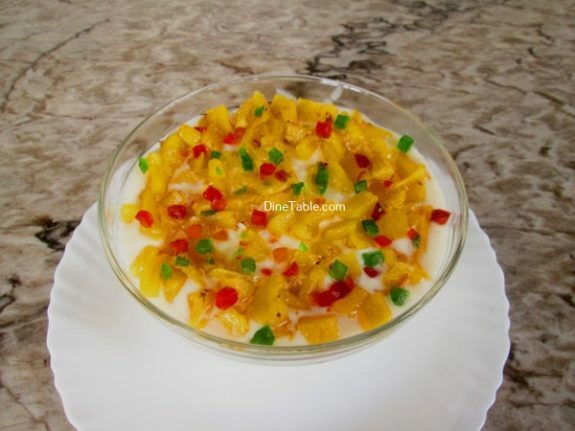 Now decorate the pudding using Tutti Frutti. Tasty Milkmaid Pineapple Pudding is ready.